According to reports from TPD, on 3/29/2019 at 2:32PM, Tomball Police Officers were dispatched to a forgery case involving counterfeit money in the 1400 block of W. Main St at a local restaurant. Upon officers arriving, the suspects had already left the location. Officers watched the surveillance video where they noticed two males, one female, and one juvenile pass $100.00 in counterfeit twenty dollar bills. Officers were able to get the suspect's vehicle description as a white Chevrolet Suburban with black rims. Officers also received numerous other calls for counterfeit $20 bills at other locations in the city with the same suspects. At 3:34PM, officers observed a vehicle matching the suspect's vehicle description leaving a gas station in Tomball. Officers made a traffic stop at a business in the 1100 block of W. Main St in Tomball. Tomball Police Officers immediately recognized all four suspects and they were taken into custody. Officers recovered $1,140.00 in counterfeit $20 and $5 bills. 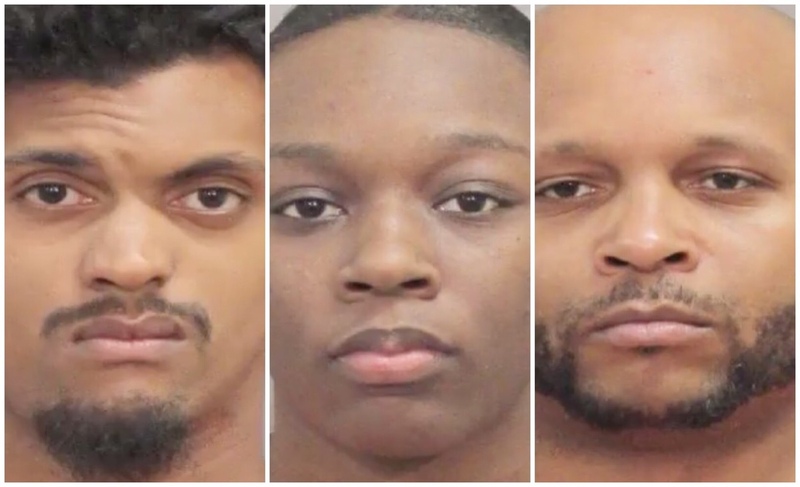 Suspects were identified as Jushua Mills, Yazid Dawan, Leandria Martin, and one juvenile. They were all booked in the Tomball City Jail. I wonder if it bigger n they were small fish? How and why would you try?